Support your mobile computing needs with this 11.6-inch Lenovo Flex touch screen laptop. The Intel Celeron N3350 processor delivers speeds of up to 1.1 GHz for fast web browsing, and the 32GB hard drive stores files and programs securely. 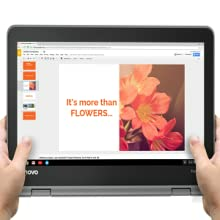 This Lenovo Flex touch screen laptop is Bluetooth compatible and connects easily to wireless devices.A FLEXIBLE 2-IN-1: With a 360° hinge, the work to play possibilities are endless. Seamlessly shift from streaming shows in watch mode to sharing photos in tent mode, or presenting in laptop mode to browsing in tablet mode. A FLEXIBLE 2-IN-1: With a 360° hinge, the work to play possibilities are endless. Seamlessly shift from streaming shows in watch mode to sharing photos in tent mode, or presenting in laptop mode to browsing in tablet mode. PRODUCTIVITY If performance and productivity are the keys to success, the new Flex 11 delivers on both with up to 10 hours of battery life, access to apps like Skype, Office 365, Evernote, Google Docs, and more, plus a browser with the best built-in security features in the business. GREAT FOR ON-THE-GO LIFESTYLE: At less than three pounds – Flex 11 won’t weigh you down. It’s also compact enough to easily slip in your bag when you’re on the move – or to carry from room to room when you’re at home. 720P WEBCAM: Enjoy video chats with friends, participate in online meetings,or switch to tablet mode to snap pictures and take videos. It’s all a breeze thanks to the Flex 11’s 720p HD webcam. Versatile and ultraportable, the Flex 11 is a 2-in-1 Chromebook fusing the fun of a tablet with the punch of a PC. This speedy Chromebook is powered by a MediaTek processor built for seamlessly running apps from the Google Play Store. What’s more, its 360° hinge allow users the flexibility to shift between 4 dynamic modes. 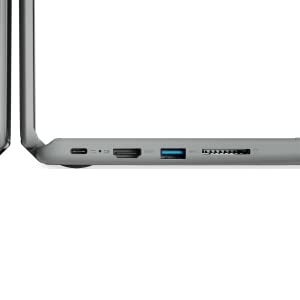 Thanks to its 360-degree hinge, you can position the Flex 11 Chromebook to fit anything you’re doing. Tent Mode serves you well in tight quarters like a crowded plane. In the mood for light gaming or browsing? Tablet Mode has you covered. Watch Mode is great for binge-watching your favorite shows. And you can slip it into traditional Laptop Mode when it’s time to really get things done. 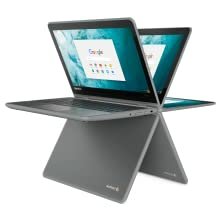 The Flex 11 Chromebook’s display supports 10-point multitouch—i.e., it responds to gestures that involve all of your fingers acting simultaneously—for a smooth, responsive touchscreen experience. You’ll be able to multitask nimbly and interact precisely with touch applications. What’s more, anti-glare technology reduces eye strain. And sharing your screen with a friend is a breeze, since IPS technology delivers crisp images across wide viewing angles. The Flex 11 Chromebook is tough enough to face the rigors of the day. It’s drop resistant and can withstand falls of up to 75 cm (2.4 feet). 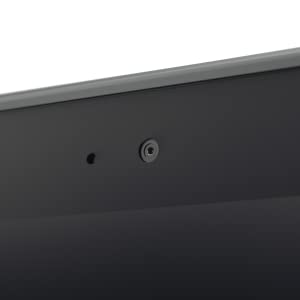 Its ports are reinforced, its touchpad is sealed to protect against accidental spills, and its non-slip texture assures a secure grip when you’re on the go. 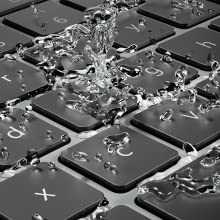 What’s more, its water-resistant keyboard uses innovative internal channels beneath the keyboard to divert liquid away from sensitive electrical components. It can handle up to 330 ml about 1 cup—of liquid without damage. Leave your power cord at home. Thanks to the Flex 11 Chromebok’s up-to-10- hour battery life, you can take in the morning news, get things done on the go, connect with your friends at lunch, and kick back with a movie at the end of the day. All without recharging. At just 1.3 kg—less than three pounds—Flex 11 won’t weigh you down. It’s also compact enough to easily slip in your bag when you’re on the move—or to carry from room to room when you’re at home. Enjoy video chats with friends, participate in online meetings, or switch to tablet mode to snap pictures and take videos. It’s all a breeze thanks to the Flex 11’s 720p HD webcam. 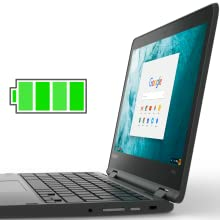 You can count on exceptional app performance on the Flex 11 Chromebook. That’s because it’s powered by a MediaTek processor specifically engineered to work well with apps from the Chrome Play Store. Collaborate on Google Docs, connect with friends in Hangouts, or kick back with a video on YouTube—all without a hiccup. 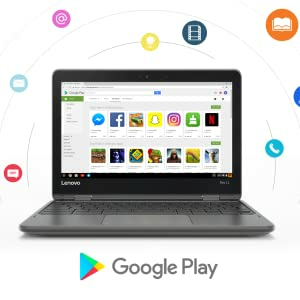 Access to Google Play Store apps means you can get things done with Office 365 and Evernote, enjoy yourself with Netflix and Spotify, connect with others on Facebook and Skype, or do your own exploring on your Flex 11.